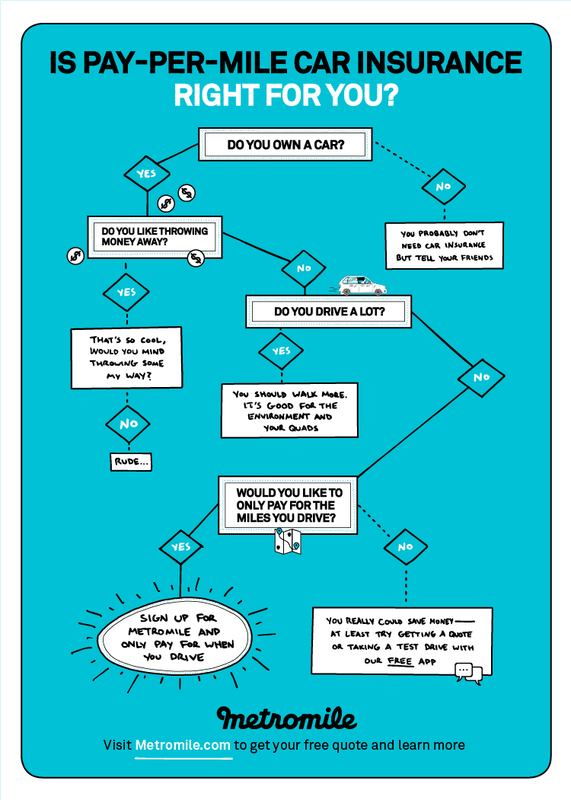 Quiz: Is Pay-per-mile Car Insurance Right for You? Have you ever wondered if your current car insurance provider truly fits your lifestyle? Here at Metromile, we are on a mission to provide low-mileage drivers with a fair and affordable car insurance where their monthly bill is based on the miles they actually drive. We believe that if you don’t drive much, you shouldn’t pay much! So if you’ve been thinking of making the switch but aren’t quite convinced, we put together this handy quiz to help determine if pay-per-mile car insurance is right for you. And if you ever have any questions about our offering, don’t hesitate to get in touch!